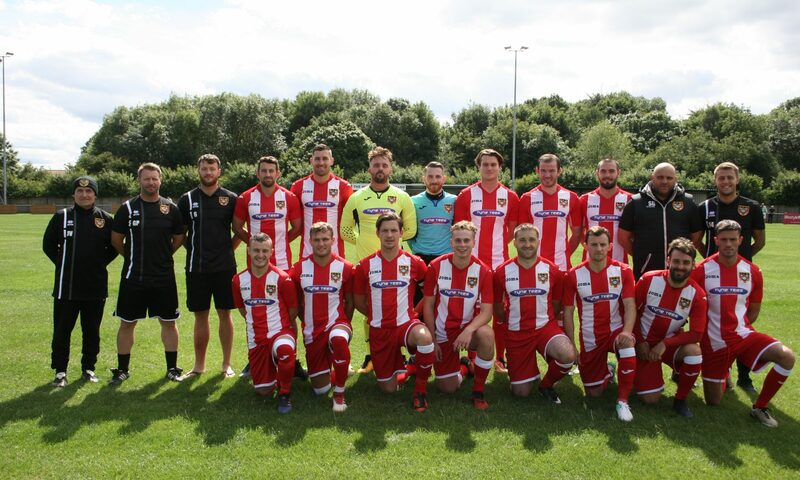 A Jack Devlin equaliser gave Ryhope CW a draw with Stockton Town at Recreation Ground in the Northern League. The away side started stronger and had the first good chance when a close-range header from Sonni Coleman was blocked by goalkeeper Joe Atkinson. Ryhope’s first real chance came from Jack Devlin after he received the ball from Robbie Bird in the box but Michael Arthur made a good save. Fred Woodhouse opened the scoring for Stockton Town in the 23rd minute, Peter Bulmer sent a low cross to Woodhouse who added a smart finish. The remainder of the first half did not see much action after the goal ending with a lead 1-0 for the away side. Colliery Welfare got back into the game in the second half but were struggling to create clear chances. The Anchors had a good chance to double their lead in the 60th minute, Atkinson reacting well to keep out Woodhouse’s effort after a knock down from Adam Nicholson. Devlin had a god chance when he was found by a cross to the back post and looped a header just wide. Danni Lay saved Ryhope from a dangerous attack in the 71st minute blocking Peter Bulmer’s finish off the line. Ryhope scored the equaliser in the 82nd minute, Jack Devlin received the ball from Weirs inside the box and added a smart finish. Neither side were able to find a late winner and the spoils were shared between the two in-form sides.